This article, which has been divided into three sections, was written by Dr. Salomon Joubert in 2010. In the past few years the control of elephant numbers by means of culling as a valid option in the management of their populations was vigorously debated. Culling was strongly opposed by anti-culling parties. Ethical considerations and scientific accountability featured prominently in the debate. The debate on the management, or otherwise, of elephant populations was characterized by rigid viewpoints steadfastly held by the opposing culling/anti-culling schools. The justification for elephant culling on the grounds of spatial constraints and impacts on biodiversity were vigorously countered by arguing lack of what could easily have been construed as philosophical reasons rather than concrete evidence. The arguments of the anti-culling lobbyists were further reinforced by the introduction of the concept of ‘meta-populations’, i.e. populations extending over vast (regional) areas with unconstrained spatial and temporal distribution possibilities. The debate was eventually concluded with the acceptance of a set of management options on a national level, designed to meet local demands. These policy guidelines make provision for translocations, culling and almost any other innovations to harmonies general ecological interests and those of elephant populations. Though the sentiments and viewpoints of the two camps largely remain, the debate has been settled and offers the opportunity for managers and researchers to consider the areas still under dispute and to probe a rational way forward. This phase, more than ever, will call for integrity, open-mindedness and an honest approach towards rational decision-making. Disputes and the seeking of solutions can no longer revolve around petty personal arguments but needs to take into account that it is the Kruger National Park, and its intrinsic natural values, that are at stake. § if left to increase the elephant population would eventually level off and maintain a stable density (ostensibly in harmony with other components of the ecosystem). Though from two opposing camps the discussions were relaxed, open and constructive. In compiling this report, I have also taken the liberty of inviting comments on the draft from Dr. Ian Whyte, a former research officer responsible for research on elephants in the Park. Where relevant his comments have been referred to in the text and included herewith as Appendix 1. After formal research started in the KNP in the early 1950’s considerable pressure came to bear on the young fledgling research section to provide answers to the pressing problems of the day, i.e. the role of carnivores, in particular lion; the role of veld fires and the spatial and temporal requirements of the Central District’s western boundary animal populations, in anticipation of the erection of a fence to curb the spread of Foot-and-mouth disease. A series of successive drought years during the 1960’s and early 1970’s with a concomitant surge in the numbers of several high-density species, notably wildebeest, zebra, impala, elephant and buffalo, led to the institution of culling operations of all these species. An upswing in the rainfall cycle during the mid and latter half of the 1970’s, especially 1973 to 1978, into the early 1980’s resulted in dense swards of grass, a fragmentation and decline of the populations dependent on short grass (wildebeest, zebra and impala) and a notion that the large carnivores, especially lion and spotted hyaena, played an important role in the decline of these species. This ultimately led to a campaign to reduce the numbers of these predators in selected areas. These two extremes in the rainfall cycle largely ushered in an era of active intervention, leading to an intensification of water provision, adjustments to the veld burning program and the artificial manipulation of animal populations. During the high rainfall phase of the climatic cycle (1970’s to early 1980’s) culling of most of the populations initiated in the 1960’s was terminated. At this time the research program of the KNP was also re-organized and defined as a study and analysis of the ecosystem, with detailed consideration of the dynamic nature and inter-dependency of the individual components comprising the system and therefore also to serve as a basis for the implementation (and evaluation) of management strategies as necessitated by circumstances. This holistic approach represented a major redirection of the research effort and attitude towards management. The primary research objective was further underpinned by the adoption of the philosophy that ecosystems (in fact, individual populations as well) were akin to living organisms, with “life” defined as the spontaneously dynamic symbiosis of interacting and interdependent systems, each having its own composition and structure, with the inherent capability of reproducing and perpetuating. During this era the closure of artificial water points was initiated, fire management was returned to a totally natural regime, culling of all but elephant and buffalo populations was terminated, and the monitoring of the climate, vegetation and animal populations was intensified. Essentially, this implied the adoption of a philosophy that natural processes would be allowed to take their course as far as this was possible without human (unnatural) interference. A universally accepted principle in the management of wild (and domestic) animals is the control of the numbers of those populations that are regarded as a threat to the sustainability of their resources, in particular where these are shared with other species. An underlying consideration where management options of this nature are contemplated, is the spatial constraints imposed on the animals in question. In this respect, it is not only the direct impact of the animals on their food resource which is of importance but also the impact on the spatial and temporal requirements of all the species involved (both the targeted species as well as associated species). By any standards of land management, the 2 million hectares encompassing the KNP represents a vast area. 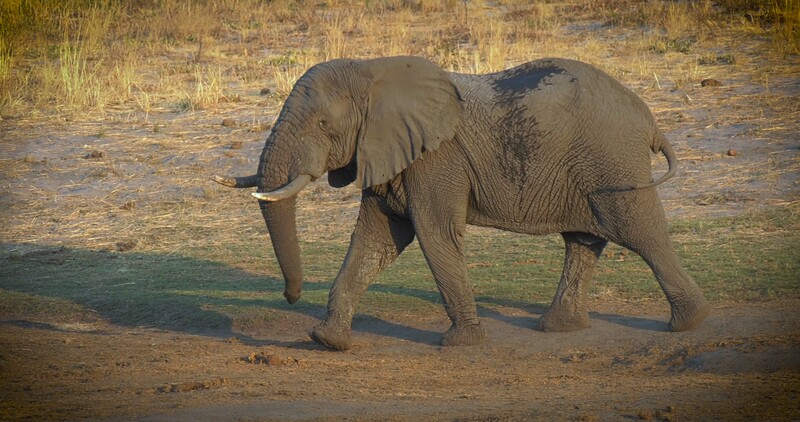 However, in terms of the spatial and temporal requirements of elephants it was not regarded as sufficient to accommodate their population cycles. Based on this principlethe most appropriate strategy accepted to manage their population was to control their numbers. It was, however, also acknowledged that the cumulative effects of constant population pressure would eventually result in destructive impacts on their habitats. This implied severe management challenges. As all-natural processes function in cycles and the ‘lebensraum’ of the KNP was considered too limited to accommodate those of the elephant population their cycles had to be imposed artificially. Attempts in this respect included concentrating culling operations in one region of the Park for a number of years and then shifting the focus to another, thereby lowering densities in one area and allowing increases in the other. An acknowledged flaw in this approach was the limited time allowed for the fluctuations (initially suggested 3 years of concentrated culling followed by 3 years of no culling). No conclusive results from this approach could be reached before a moratorium was placed on elephant culling. In 1995 the moratorium was placed on elephant culling in the KNP, a moratorium that has remained intact ever since. During this period the elephant population increased from 7 500 to its present level of around 15 000. Currently the mission for the Kruger Park reads as follows: in keeping with the SANParks mission, Kruger National Park strives to maintain biodiversity in all its natural facets and fluxes, to provide human benefits and build a strong constituency and preserve as far as possible the wilderness qualities and cultural resources associated with the Park. According to the SANParks website this mission statement contains three qualifications. Of ecological importance is the inclusion of structure, function and composition under the concept of “natural”. Essentially, the philosophical approach towards the management of the Park makes provision for the maintenance of the intrinsic qualities of the composition, structure and dynamic processes of the ecosystems in their most natural state possible. During the elephant debate much was made of the lack of a sound scientific basis for determining the most appropriate management strategy for the elephant population. The Kruger Park’s view was that the elephant population was carefully monitored, research projects had been undertaken (and were ongoing) on all aspects of their population ecology, that there was no evidence of any negative effects on the population after 30 years of culling and that management objectives were effectively achieved. The ‘new’ approach towards the management of the elephant population may then be viewed against this background. Dr. Salomon Joubert is the ex-director of the Kruger National Park in South Africa and spent 40 years in the service.